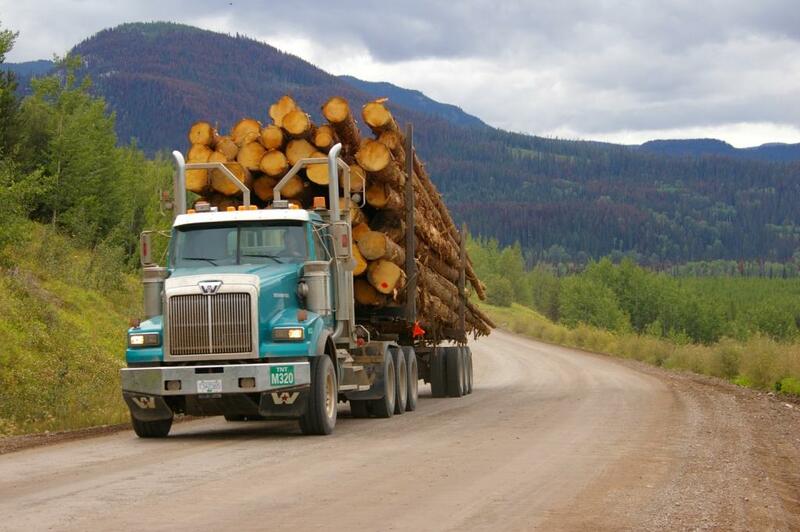 What do you want to know about BC load restrictions? That’s the question we asked on social media, and we got some great feedback from commercial haulers, including @BCTrucker1 and @hnldriver. Thanks! Q: Can a truck get a permit for overages on restricted roads? That said, in some urgent circumstance (such as getting feed into livestock) we may monitor the road temperatures and find an opportunity when the road freezes up to get a load through. Like at night or during a cold snap. If you have questions, contact your local inspection facility and they can help you explore options. A list of facilities can be found at here. Q: Why are seasonal load restriction signs placed where they are? A: We try to put the sign right at the beginning of the road where the restriction starts, so drivers have plenty of warning that the road has a load restriction. However, there may be some instances where a road starts as a higher capacity, stronger built road (typically because more traffic travels on that portion of the road) but further down the road (often where the population tapers off) it becomes a lower capacity / strengthroad that may not have enough strength to carry heavy loads. The load restriction sign is often placed where the load restriction starts on that section of road. Q: Could you provide charts to show how the weight restrictions affect different loads? For other commercial vehicles, you can find 100% of your legal weight in Appendices A to I of the Commercial Transport Regulations. To figure out the maximums under a 70% or 50% restriction, multiply the figure you find there by 0.7 or 0.5. Q: How are seasonal load restrictions determined? A: We use frost probe weather stations and a Benkelman Beam device to measure in real time the temperature of the road. We track over time the changes in the road temperature and know what trends and temperatures ranges lead to increasing moisture content in the roads which makes the roads weak and susceptible to damage. You can read more about this on our blog: How Much Load Can That Road Hold? A: If you’re caught driving with a load that’s too heavy for a weight-restricted road, you could face a fine and have to immediately reduce your load to meet the weight requirements. You could also be liable for repairs if your load damages the road. You can find more information about seasonal load restrictions on our website, and don’t forget to check DriveBC to see where the latest restrictions are in effect. Do you have other questions about seasonal load restrictions? Send us a message on Twitter or Facebook, and we’ll look into it for you. I was just at the scales in Vernon asking about how the seasonal load restrictions affect my pickup and dump trailer. I am licensed for 8200 kg non-commercial (pleasure) use. My trailer is a 4500 kg max dump trailer. I was told by the officer at the scales that I would have no problem as the 70% applied to the larger commercial vehicles with 9100 kg single axles and 17000 kg for dual axles. There is no way my axles would ever hit 70% of these numbers, so I was okay to haul a full load in my trailer. He also said that the weight restrictions apply to the steering axle which contradicts what is written in your article and what I was told on a previous visit to the same scale. I think it would be a good idea to send a memo to your scales outlining exactly how the weight limits are to be applied for steering axles and for lighter weight vehicles. As my tire pressures are a lot lower than a truck and my overall weights are much lower, I don’t see how my pickup and trailer can harm the roads. Please send the memo to me also. Also, in my area of Spallumcheen there is an agricultural operator with giant 4 wheel drive tractors and huge 3 axle bulk trailers operating. These trailers dwarf any semi-trailer by at least 50%. I know farmers are exempt from licencing but this guy is doing cartage for others and with the weights he is hauling, definitely damaging the roads. I can’t believe he is allowed to get away with this, and it is unfair to anyone operating a trucking company legally. Thanks for your comments. We have sent them forward to the CVSE for review. Stay tuned. Seasonal load restrictions apply to vehicles with a licensed GVW of over 5,500 kg, but you are correct that it’s unlikely your vehicle would be impacted as the reduction in weights would be based off of Section 7.17 and the Appendices from the Commercial Transport Regulations. A single steer axle would be exempt from seasonal load reductions as per Section 3.9.2 of the Commercial Transport Procedures Manual (CTPM), our apologies for any confusion. We will forward your complaint for the agricultural operator to the CVSE Regional Manager in the area for follow-up. If you see any additional suspected violations of seasonal load restrictions on provincial roadways please report them to your local scale. We have shared your comment with the CVSE, they will need more information from you and we will have them follow up with you directly. Good question. The answer depends on where you are. Seasonal load restrictions could be in place longer in the north, where things take a bit longer to warm up compared with areas in the southern part of the province, which see warmer temperatures sooner. Here is a link to the website with all current restrictions and more information. http://www.th.gov.bc.ca/BCHighways/loadrestrictions/loadrestrictions.htm Hope that this helps! We will forward your question to the Commercial Vehicle Safety Inspection folks (CVSE). Stay tuned. We have information from the region and will be sending it directly to your email. Hope that this helps!